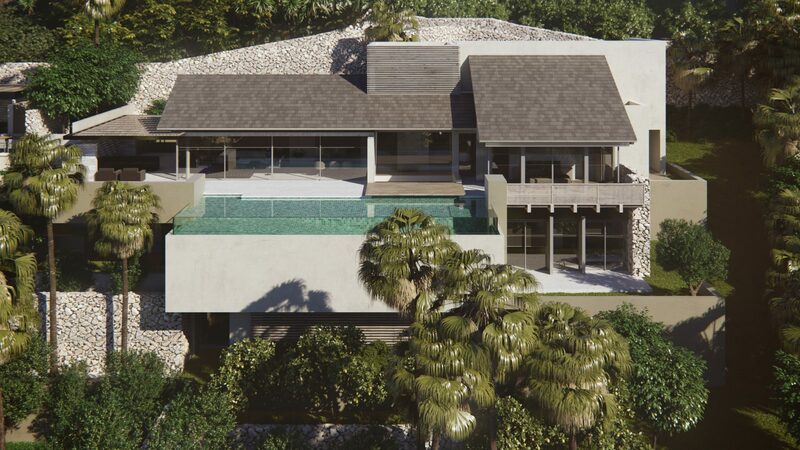 Being privately owned and independent we not only offer our own property for sale but have access to the majority of luxury property on the island both on and off the market. Please contact us if you have seen a property we do not have listed or you are looking for something in particular as we have a number of properties we are instructed to sell 'off market' and are often instructed to find property for private clients. If you are thinking of selling your property we are here to help. We offer a client represtentative sales service where we are extremely thorough in ensuring your property is listed in all its glory and achieves maximum exposure to a multitude of international buyers on the island. Often property is listed with multiple agents offering the property however we believe our clients benefit from us controlling where your property is promoted. We are the single point of contact when dealing with any potential buyer. Important notice: 1.These particulars do not form part of any offer or contract and must not be relied upon as statements or representations of fact. 2: Any areas, measurements or distances are approximate. The text, photographs and plans are for guidance only and are not necessarily comprehensive. It should not be assumed that the property has all necessary planning, building regulation or other consents and Élan Palma have not tested any services, equipment or facilities. Purchasers must satisfy themselves by inspection or otherwise. SOLD REF.EP11-DIR. An outstanding, immaculately presented and fully furnished four bedroomed villa in Costa D’en Blanes with 180˚ protected sea views over Puerto Portals and Palma Nova. Well thought out pool to the rear, with stunning sea views through the house. 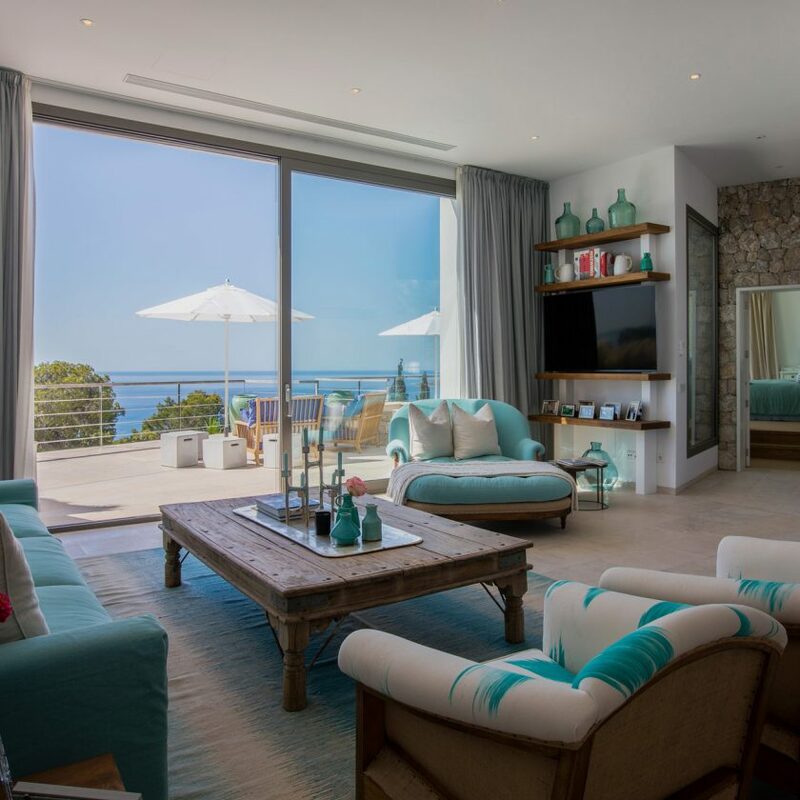 This Villa benefits from uncompromised 180° sea views which can be enjoyed from all floors. Ref.EP30-. 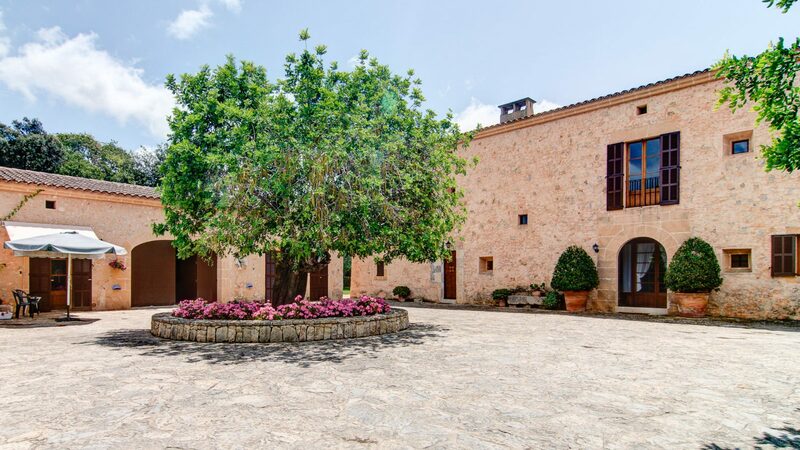 An extremely important and impressive XVII Century Manor house has become available through Elan Palma. 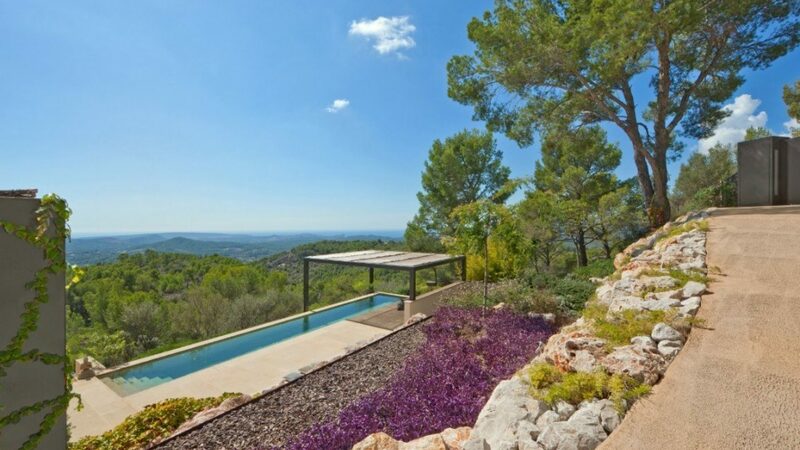 The property is situated in the privileged area of Valldemossa, famous for its beautiful landscapes and scenic views. The plot covers an area of approximately 300 ha, of which 36,000 m² offer delightful and extensive gardens, orchard with numerous orange, lemon, almonds, Olive and Carob trees. Approximately two thirds of the estate is made up of native wild landscape with mountains and pastures surrounding the main house. REF.EP26-DIR. 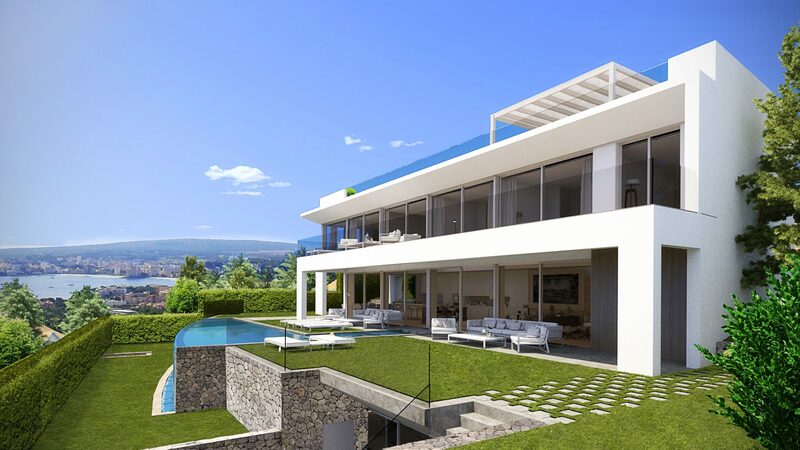 A superb, newly built, seven bedroom Villa in an outstanding hillside location on the exclusive Son Vida development. Offering unparalleled luxury and comfort this Villa has been meticulously designed by an award winning Architect and Developer. 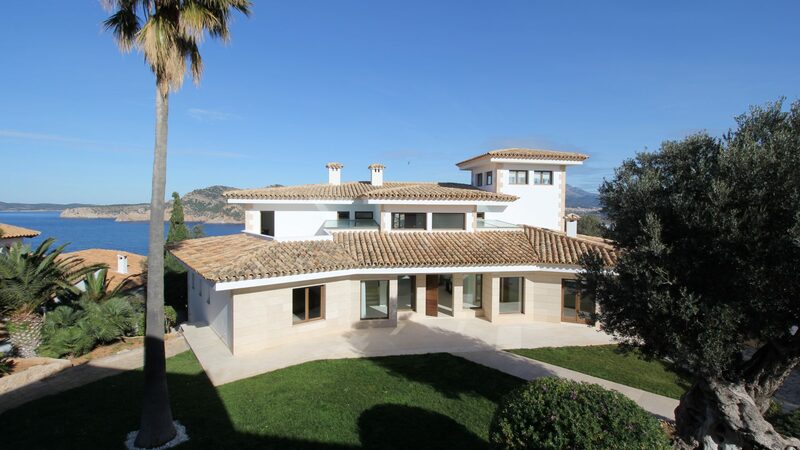 This property is iconic in its positioning and provides panoramic views of Palma and Palma bay. Generous lateral living space and a sumptuous interior will provide new owners with a truly luxury trophy home. REF.EP15-DEV. 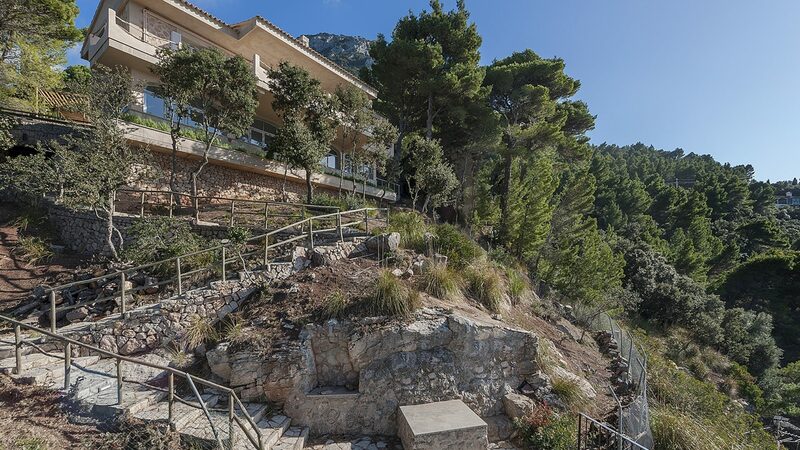 Large Six Bedroom villa in Port Andratx with panoramic sea views of the island Sa Dragonera. This Villa offers fantastic opportunity to acquire a prime Villa in one of the most spectacular ports on the island. The property is located on the hills above Port Andratx with easy access to both local amenities and restaurants and Palma, Palma airport. REF.EP23-DIR. This newly built Villa combines clean chic design with all the creature comforts and luxury finishes you would expect in a prestigious development. 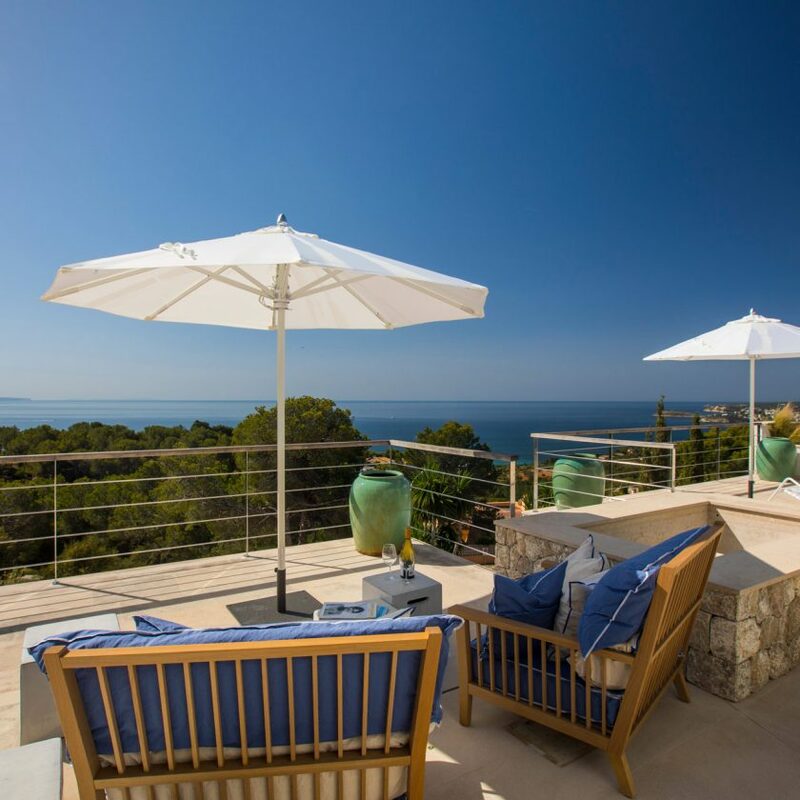 Not only does this property pride itself with one of the best positions in the renowned Son Vida development, it also enjoys commanding views over the golf corse and Palma bay, all while seamlessly blending into the mountain side. REF.EP35-INV. 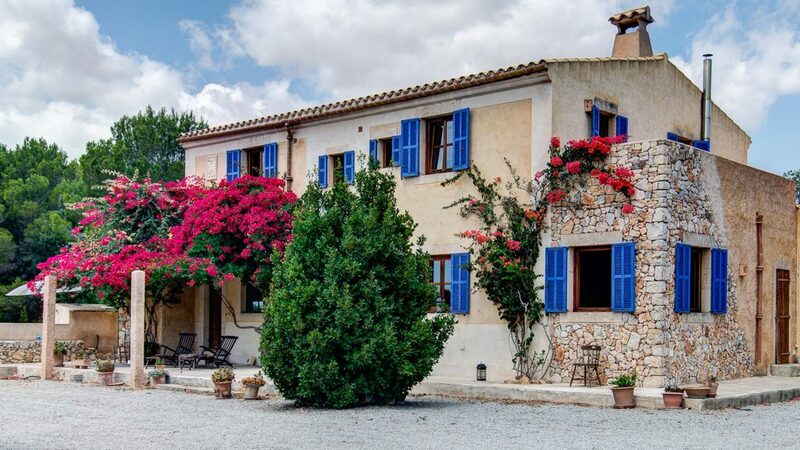 A beautiful Finca and Equestrian Estate of significant importance and history located in the affluent area surrounding Cas Concos and Santanyi. 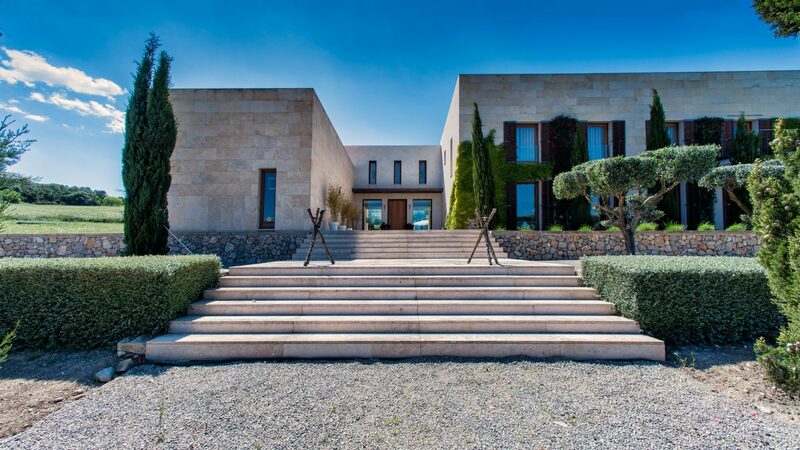 An opportunity to purchase either the entire estate 990,000 m2 or the house and 40,000 m2 of gardens and paddocks. The property is owned by a world renowned Arab breeder and would suit an equine investor or business or a private family seeking a private estate on the island. Ref.EP28-IMP. 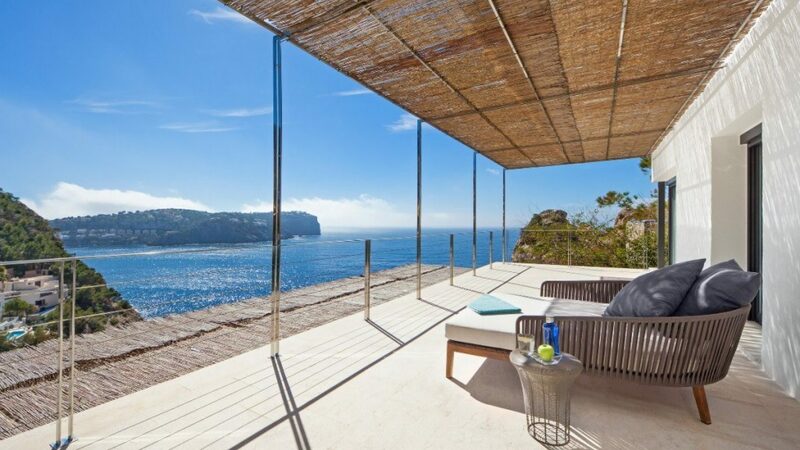 Exceptional Villa with open sea views is for sale in Cala Moragues area next to Port Andratx. This magnificent house sits proud on the hillside and enjoys fabulous views over the bay and uncompromised sea views. The area is a sought after corner of the South East popular with British clients looking for a dream property on the island. REF.EP34-MOR. 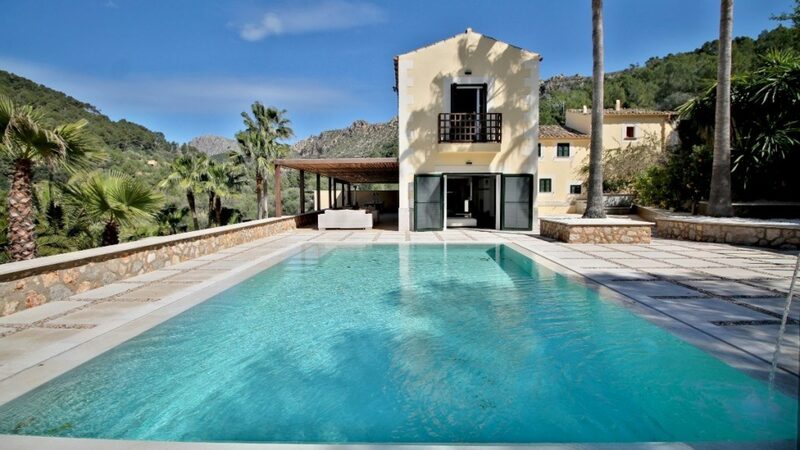 Settled perfectly between the Alaro peaks of the Tramuntana mountains, this stunning villa has spectacular views. 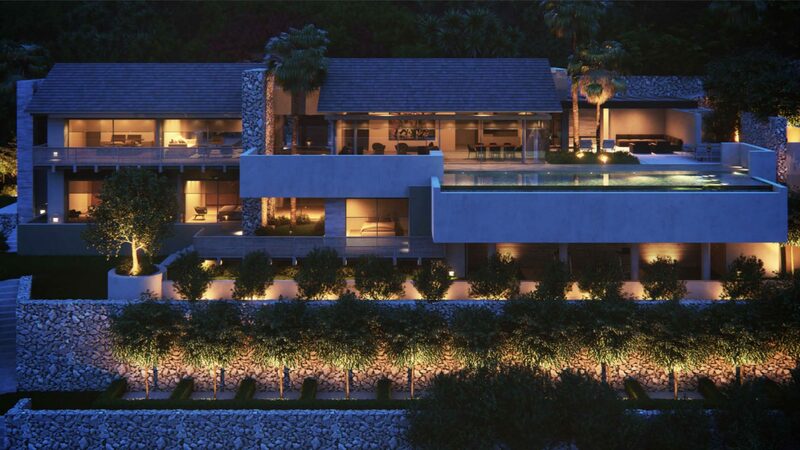 Extensive outdoor space includes contemporary gardens, a dining area and a stunning infinity pool. Located just 2 kilometres from Alaro town, there are plenty of activities, shops and restaurants to enjoy. The bespoke villa has outstanding facilities and sensational local views. With a truly impressive exterior and an utterly exceptional finish, expect this Alaro-based villa to take your breath away. REF.EP29-IMP. 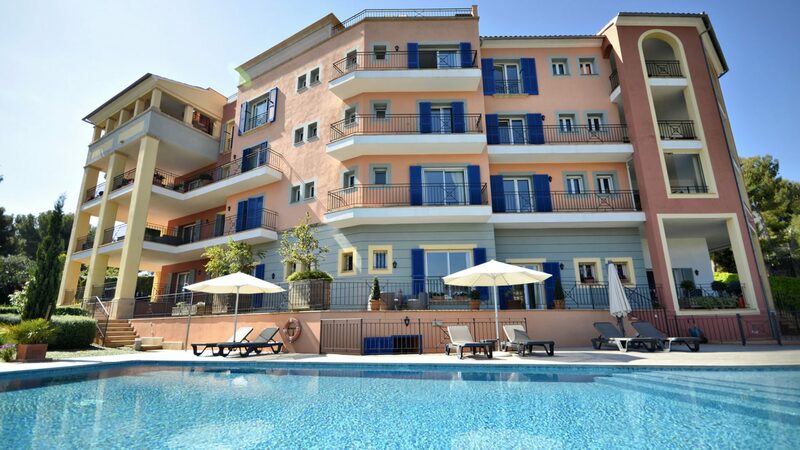 Situated in an outstanding location in Illetas, this penthouse apartment will offer luxury living and lifestyle. Just a stroll across the road to the beach, the property offers the perfect combination of outdoor/ indoor living with lots of sun and plenty of shade to enjoy throughout the day. This area is extremely popular and has ample amenities whilst having excellent access to some fantastic beaches, the sea, Portals and Palma old town. REF.EP22-DIR. An exquisite property combining stylish architecture with flawless living ergonomics. This unique property was designed and built with meticulous detail. 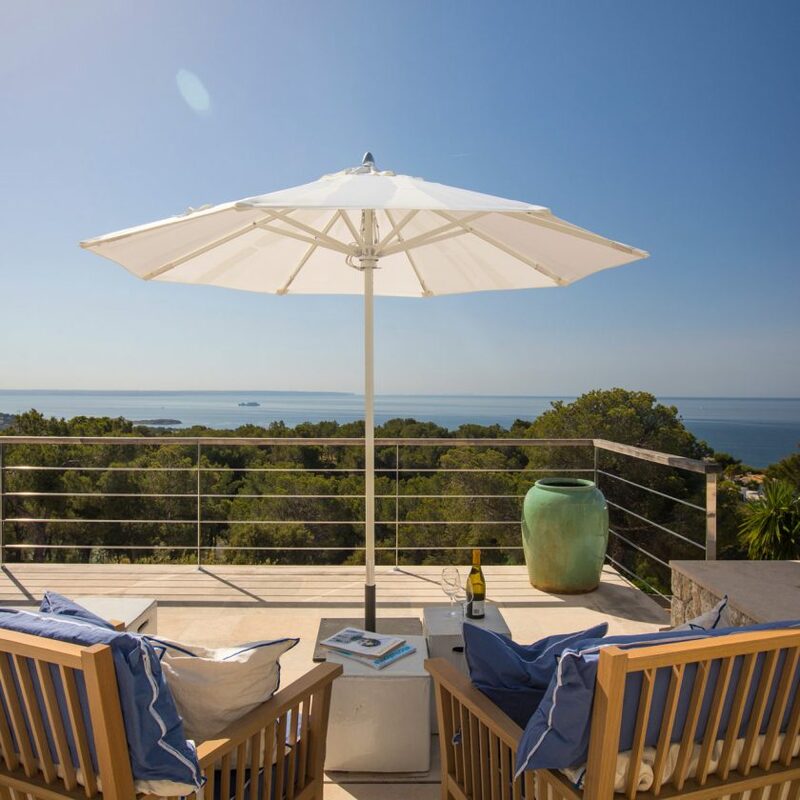 Set in a scenic and peaceful location in the South East of the island near the village of Cas Concos the house provides the perfect balance of light and warmth in the winter months and alfresco shade and indoor outdoor living in the summer sunshine. A true gem of a house. REF.EP18-DEV. 'INVESTMENT' An opportunity to buy an eight bedroom frontline property. 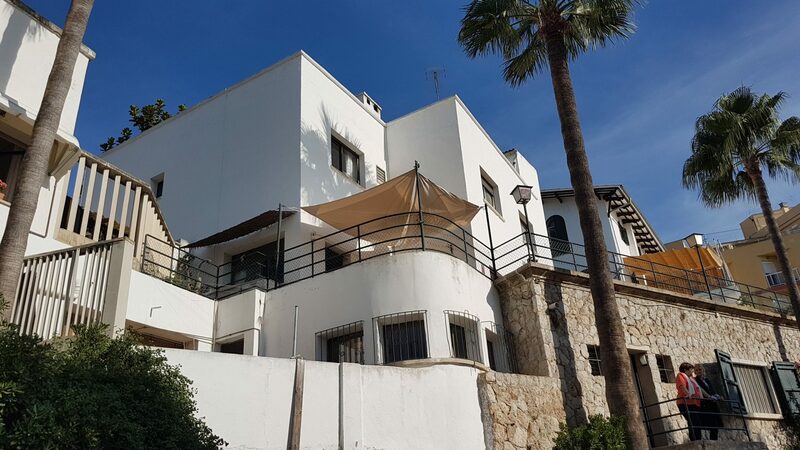 With current planning restrictions in Calvia restricting almost any development and refurbishment this property is conveniently situated in Cala Nova outside the Calvia planning zone. A rare chance to purchase a front line Villa in need of modernising with potential for extension by adding another floor. 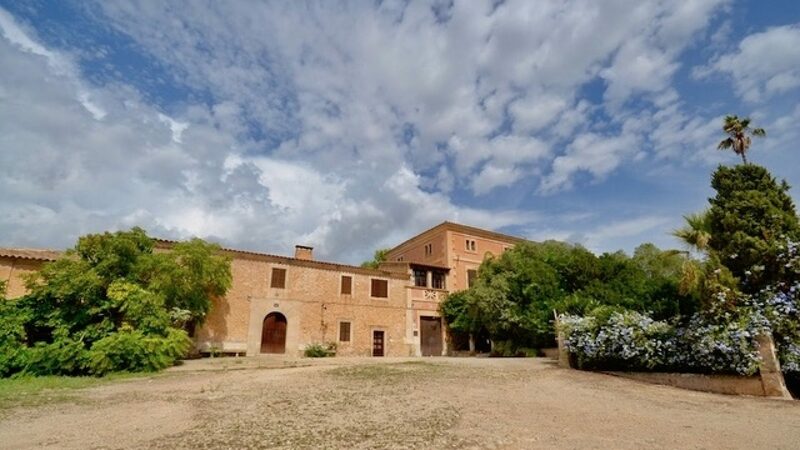 This could be a spectacular modern frontline property a stones throw from Palma. Ref.EP27-IMP. A beautifully presented reformed Villa completed to the highest standard. 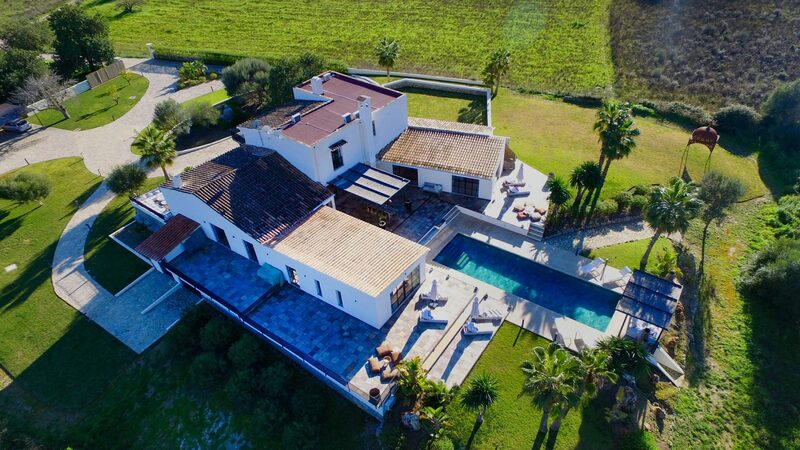 Providing a unique combination of luxury living with Mallorcan finca country life. Enchanting countryside views are enjoyed from the pool or the extensive terraces surrounding the house. 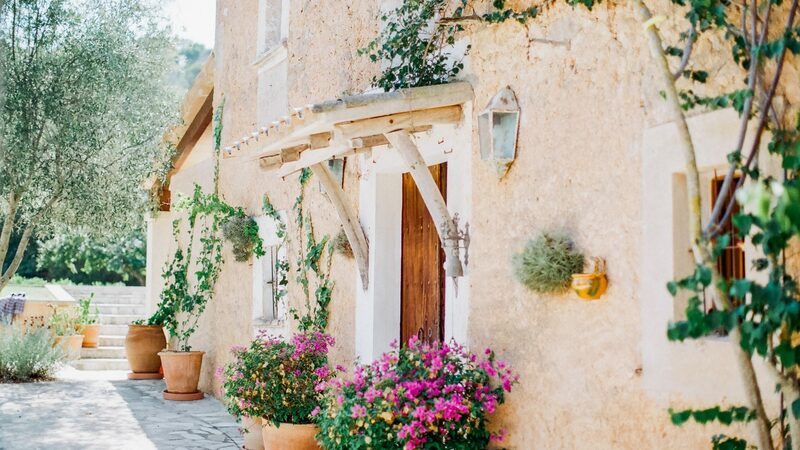 The historic valley of Sa Coma Freda is one of the hidden gems of the island, the property is located in the lower end of the valley, just seven minutes drive or a twenty minute walk to the centre of Andratx. REF.EP25-DIR. An impressive, income generating, modern Villa which boasts many stylish features. The property is located a few miles from the picturesque village of Sant Llorenc on a elevated position looking over the rolling countryside. 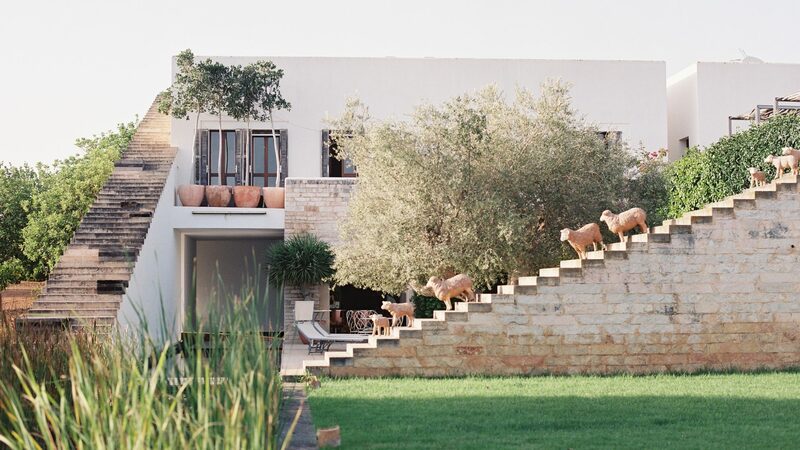 As well as the impressive house and manicured gardens the property also produces its own wine and olive oil. No less than 500 bottles of wine and 300 bottles of extra virgin olive oil to be more precise! REF.EP24-CAS.Finca restored with taste set in attractive countryside with very pretty views towards the Castle de Santueri and the Monastery de San Salvador. Built area 423 m2. Plot 14,860m2. 6 bedrooms 6 bathrooms, including an independent guest house. Own well. 10 metre pool. REF.EP33-MOR. 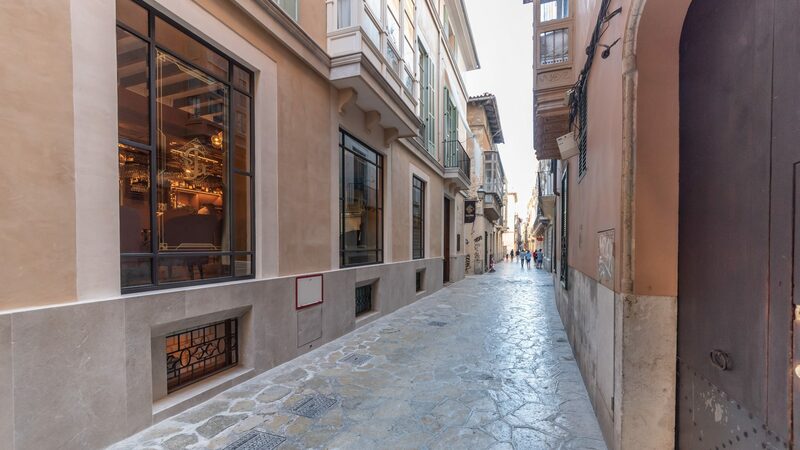 An opportunity to purchase a gorgeous spacious apartment in the heart of Palma's exclusive Old Town. Located a stones throw from some of the best restaurants, bars and luxury retail the city has to offer. This renovated home boasts charming character with two large bedrooms, two bathrooms, stunning kitchen, spacious sitting room and your very own private roof top terrace. Located on a quiet street just metres from Calle Sant Jaume III and Passeig Del Born. REF.EP17-DIR. A Very spacious four bedroomed penthouse centrally located in Illetes/Bendinat area of the South West with sea views and views over Cala Major. Ample local amenities inc shops, hotels, restaurants and bars in nearby Portals, Bendinat and Cala Major. 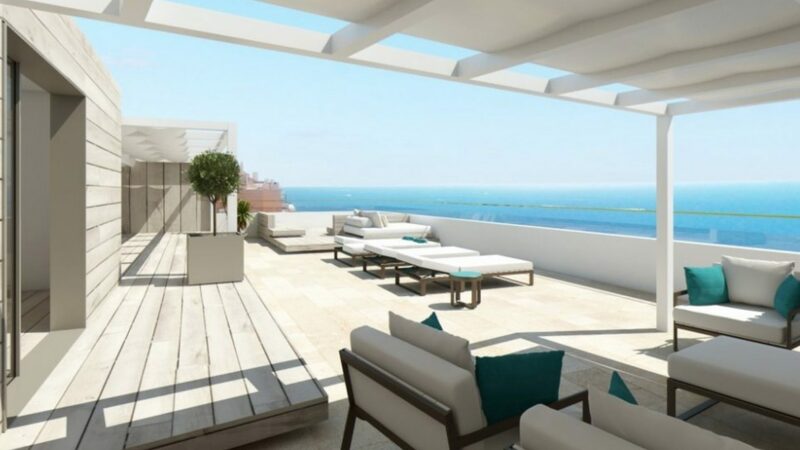 This new villa, currently being built to a high standard is located in the popular residential area of Costa D’en Blanes close to Puerto Portals and 10 minutes from Palma. 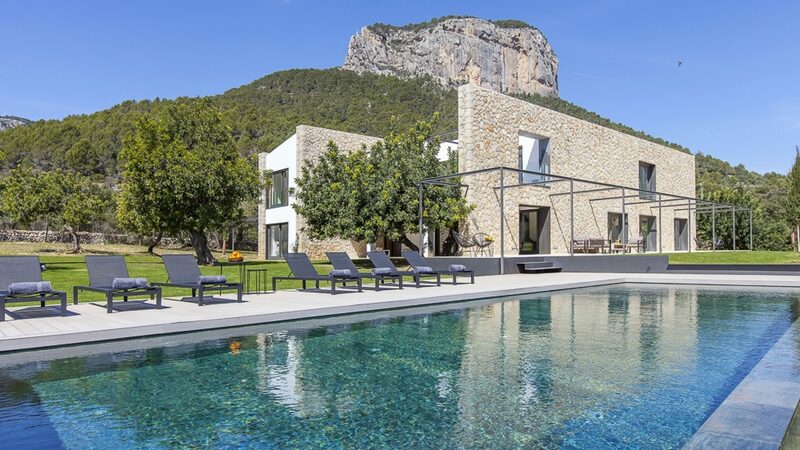 The 528 m2 villa, designed by the prestigious mallorquin architect Miguel Arenas, is built on a south-facing plot of 854 m2 with wonderful views of the sea and the bay of Palma. A beautifully designed five bedroom modern villa with show stopping sea views and views across Bendinat Golf course and Bendinat Castle. Completed in Q1 2017 the villa offers privacy whilst allowing for stunning indoor outdoor living in a very popular area of Bendinat. Designed and built by a renowned developer to a high standard the unique villa sets new standards for modern living in Bendinat. 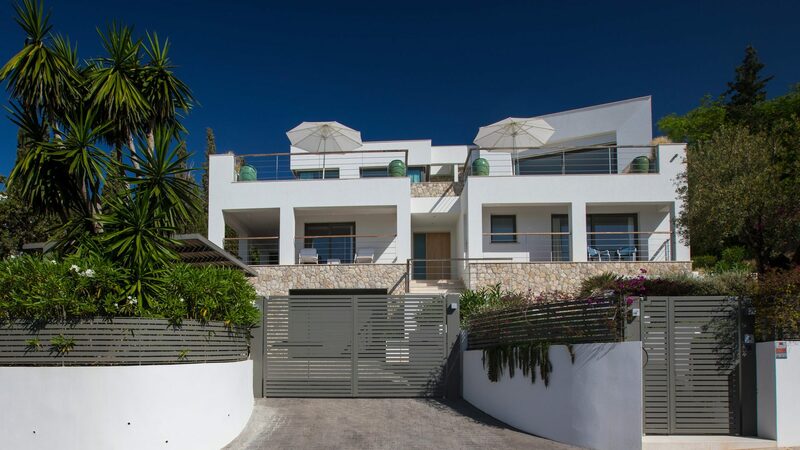 After extensive refurbishment this Son Vida villa has six ensuite bedrooms, a spacious entrance and large living area. The breathtaking views can be enjoyed from almost the ever aspect of the house and garden. The garden is beautifully landscaped with paved terraces and a beautiful pool with waterfall. A large outdoor kitchen with a large dining area completes the outdoor living area. There is a two car garage and ample parking in the driveway. A beautifully presented restored country manor. This property boasts lovely mature gardens and a large pool. Situated in quiet rural surroundings only two kilometres from the village and only a short drive to the market town of Santanyi. Five large bedrooms with ensuite bathrooms. Ample living space of 500 m2 with a large wine cellar. Three hectares of land in an attractive position. Good views. Lift. Large kitchen. Separate staff accomodation.